Health, Nutrition & Lifestyle. Commercial General Liability Short Form Application. 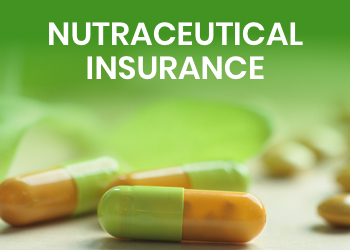 By selecting this option, you warrant that you have an expiring and in-force Health, Nutrition and Lifestyle Commercial General Liability policy with the same retroactive date selected below. Or any anabolic steroids or anabolic‐androgenic steroids. I/We declare that I/we have reviewed this Application for accuracy before signing it, that the above statements and representations are true and correct, and that no facts have been suppressed or misstated. I/We understand that this is an application for insurance only and that the completion and submission of this Application does not bind the Company to sell nor the applicant to purchase this insurance. I/We nevertheless acknowledge that any contract of insurance issued by the Company in response to this Application will be in full reliance upon the statements and representations made in this Application. Any person who knowingly and with intent to defraud any insurance company or other person, files an application for insurance, or statement of claim containing any materially false information or conceals for the purpose of misleading, information concerning any material fact, commits a fraudulent insurance act, which is a crime and may also be subject to civil penalty. I/We hereby declare that the above statements and particulars are true and I/we agree that this Application shall be the basis for any contract of insurance issued by the Company in response to it. I/We understand that any subsequent contract issued by the Company will be issued on a CLAIMS MADE form.